Oilwell Supply is the sole Master Distributor for the full range of MSI’s products in the Asia-Pacific Region. MSI (a division of Dixie Iron Works Ltd) has been known throughout the Oil Patch for Quality, Innovation & Dependable Service since 1933. The strategic alliance between MSI and Oilwell Supply means that our customers in Asia-Pacific have a dependable “in-stock” source for this outstanding product line of Plug Valves, Fittings – Adaptors & Flowlines, Manifolds, Chokes and Well Service Pumps. It is also your guarantee that you are getting genuine OEM equipment backed by an OEM authorized product warranty. The Personnel at Oilwell Supply have the product experience and expertise with the MSI line of products that enable us to assist our customers with their requirements. A brief overview of MSI’s exemplary product lines follows. For more detailed information please click on the MSI product. 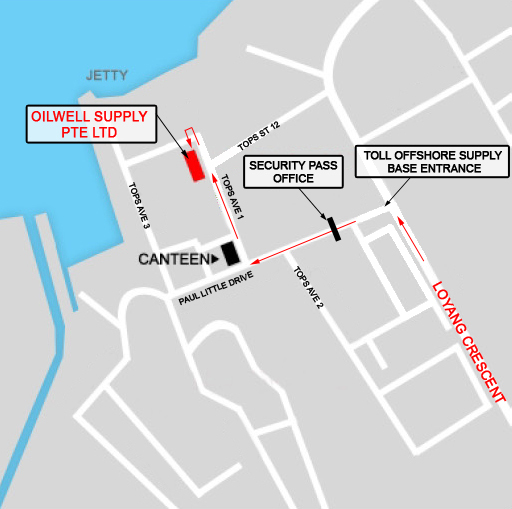 Oilwell Supply Pte Ltd proudly inventories, sells and services MSI’s field proven Flow Control products. Using proven designs enhanced by superior quality and innovation, MSI plug valves are used by the oil and gas industry throughout the world. Advanced manufacturing techniques, ensures optimum performance and reliability in Standard and H2S environments. As a result of MSI’s rigid quality and material strengths standards, MSI’s Fittings, Adapters & Flowlines are preferred by those who deal with the ever increasing abrasive environments such as flowback, well control, tree saving, stimulation and other abusive applications. MSI raised the bar in the oilfield using proven designs that are enhanced by superior quality and innovation. MSI plug valves are built and tested to the highest standards using advanced manufacturing techniques to ensure optimum performance and reliability. MSI plug valves are used throughout the oil and gas industry worldwide in Standard and H2S service environments. Applications for the MSI plug valve include: Blow-Out Preventer systems, Snubbing, Cementing, Well Stimulation, Sand Separator Systems, Gravel Pack applications, Coiled Tubing systems, Production Testing, Flow Back operations and many other applications. MSI continues to offer quality solutions to the industry. Our new TE (Top Entry) Plug Valve is no exception. We have taken a proven design and added the kind of improvements to performance and quality that you have come to expect from MSI. The MSI TE Plug Valve offers reliable sealing under high pressure for many applications in the oil and gas industry. In an effort to continually innovate and provide better solutions to the oil and gas industry, MSI offers the TE valve with more end connections than any other valve manufacturer in the industry. MSI provides the oil and gas industry a wide range of adapters for many applications. MSI adapters are manufactured using only the highest grade material which meet or exceed API-6A material requirements for standard or H2S service. MSI also adheres to NACE MR-01-75 for all H2S service equipment. MSI provides the oil and gas industry a wide range of flowline for many applications. MSI flowline is manufactured using only the highest grade material which meet or exceed API-6A material requirements for standard or H2S service. MSI also adheres to NACE MR-01-75 for all H2S service equipment. Due to the simplicity and durability of our line of hand adjustable and hydraulically operated chokes, they are widely accepted as the choke of choice in many applications. MSI chokes get the job done effectively and efficiently. Pumps – Well Servicing: Oilwell Supply offers MSI’s well service pump line which provides solid performance in the field. The pump line product range with it’s wide range of capabilities means that we have a pump that will meet your needs. For further information please click on the product picture. MSI is proud to introduce the TI-600 Well Service Pump. The TI-600 is a 600 horsepower triplex pump that comes with many standard features, but its most important feature is the MSI commitment to Quality. MSI Products is proud to introduce the newest and largest compact style plunger pump, the QI-1000 well service compact pump. Our 1000 horsepower quintuplex plunger pump is suited for acidizing, cementing, gravel packing, coil tubing, frac and well stimulation services. The QI-1000 is currently the highest horsepower rated pump capable of being mounted in a back to back configuration and staying within standard DOT regulation widths. Yet, at less than 7000 pounds, it is the lightest 1000 horsepower pump on the market. MSI is proud to introduce our new replacement fluid ends for the TI-600 triplex well service pump. MSI is proud to introduce our new Grease Injection System. This compact, self contained, positive displacement, 12-volt greasing system was designed to properly lubricate pump plungers during pump operations without relying on gravity and/or personnel. MSI’s continuing quest for constant improvement of the quality and performance of our products has led to the development of a number of innovative newly engineered Specialty Products. Oilwell Supply provides these Specialty Products to the Asia-Pacific market. For additional information please click on the product’s picture. MSI’s continuing quest for constant improvement of the quality and performance of our products has led to the development of an innovative newly engineered plug valve insert. MSI is proud to introduce our latest addition to our adjustable choke line, the MSI Hydraulic Choke. Our new linear stem movement hydraulic choke offers safe, reliable and accurate remote actuation for many applications. The sturdy construction is ideal for oilfield service. The patent on the WingSeal connector has expired and MSI would like to maintain the safety of the connection by supplying design information on an as-needed basis. If you would like to apply the WingSeal connector to your equipment please contact MSI for manufacturing prints and basic design assistance.